Prebiotics vs Probiotics Difference - Which is Better? Today, I would like to talk about probiotics vs prebiotics, as many people aren't aware of their differences. I will define them, explain purposes they serve in your body and note differences between probiotics and prebiotics. 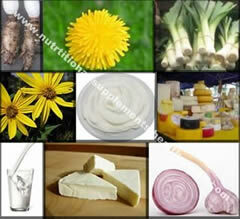 It's possible to obtain some probiotics and prebiotics through diet. However, as you are aware, a great deal of our top soils are sadly lacking in vital nutrients. Finally, I'll show you why supplements are often necessary in order to obtain correct amounts of probiotics and prebiotics your body requires. Live Microorganisms: Probiotics refer to live microorganisms, which are naturally in the digestive system. Most microorganisms are good bacteria that promote regular digestion and a heightened immune system. Balance between good and bad bacteria: As you're aware, both good and bad bacteria are in the digestive system. Yeast is an example of bad bacteria. Yogurt containing live lactobacillus is an example of a probiotic. Prescription drug side-effects, poor diet, medical conditions and even the environment can disturb the delicate balance between good and bad bacteria. Probiotics depend upon nutrients from prebiotics to thrive. Prebiotics are non-digestible carbohydrates or dietary fiber contained in various vegetables and whole grains. Probiotics put prebiotics through a fermenting process, which discourages growth of pathogenic agents like fungus. Garlic is a rich natural source of prebiotics. Pre is before. Prebiotics must be consumed before a re-balance of good bacteria can be achieved by the body. Pro is in favor of. The body is in favor of good bacteria supplied by probiotics. Probiotics vs Prebiotics: A recent article in BBC News reported findings of a study comparing effects of probiotics vs prebiotics. "Poo" of eight cowboys: The researchers got down-and-dirty to examine "poo" of eight cowboys over a week's time. One-half of the participants were fed a diet high in probiotics; the remaining cowboys ate a prebiotic diet. Researchers discovered only minimal change in the group eating high probiotics found in yogurt. They concluded studies over a longer time span should prove the necessity of probiotics. An astounding change was demonstrated in the "poo" of cowboys eating a diet rich in prebiotics, such as artichokes and leeks. Good bacteria were increased by a whopping 133 million as a result of the prebiotic diet! Exciting stuff, isn't it? 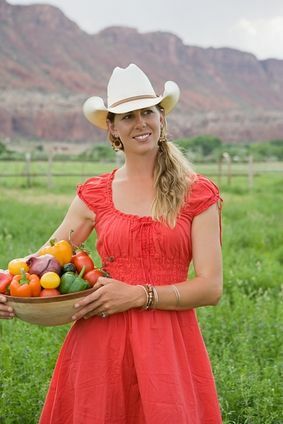 If you want to eat the "cowboy way", researchers suggested you should obtain 7 grams of inulin daily. Are you curious to learn more about inulin? Inulin is a carbohydrate class, made-up of soluble fiber found in many root vegetables. Hint: You'll recall that certain foods are fermented in the large intestine. So - what is inulin? Right! Inulin is a prebiotic. Jerusalem artichokes and chicory root contain high contents of inulin. Garlic, leeks, dandelion leaves and onions also contain prebiotics. You may find it interesting that food manufacturers have begun adding inulin to various foods, especially dairy products. 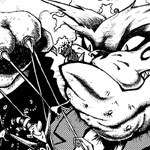 Remember too much of any good thing comes with consequences! Some people cannot tolerate large amounts of inulin. Symptoms may occur such as: abdominal pain and/or cramping, bloating, flatulence and/or diarrhea. Ironically, people with lower amounts of good bacteria in their colon have the highest intolerance to inulin. It should be a comfort to learn that the recommended amount of 7 grams is usually tolerable even if you prove sensitive to inulin. Leeks are a white, wintertime vegetable. I suggest steaming and serving it "naked". Dip leeks in a mustardy vinaigrette to bring out natural sweetness. You're likely familiar with medical benefits linked to garlic. Tip: Roasted cloves of garlic taste more palatable than raw garlic and deliver equal prebiotic benefits. If you think Dandelion is just a "weed", consider adding these tasty leaves to your green salad qne ramp-up your prebiotic intake. Artichokes are at their finest in late winter and deserve a special spotlight. Steam and serve as a first-course, with a small bowl of your favorite vinaigrette on the side. Onions are an old stand-by for inclusion in soups, stews and salads. Experiment with red and yellow ones or scallions (green onions). Sliced on a burger, ringed and served alongside sandwiches, grilled or just plain raw, onions are among the most familiar of prebiotics. The "cowboy" study I referenced demonstrated prebiotics offer widespread benefits to healthy individuals. 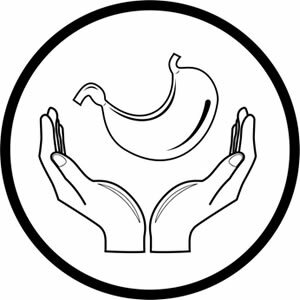 Ongoing research has established their effectiveness to prevent and/or as potential cures for digestive conditions such as: Crohn's Disease, irritable bowel syndrome, ulcerative colitis, leaky gut and polyps of the colon. You're now aware probiotics are live bacteria occurring naturally in the digestive tract. But did you know that good bacteria must compete with bad bacteria in the body? Also, stomach acid or heat can kill them. Probiotics are contained in dairy products, yogurt and supplements. Potential health benefits of probiotics for the healthy individual remain untapped. Research has proven them helpful for irritable bowel disease and nasty gut bugs, such as Clostridium Difficile. Let's hit the high points of the guide. Probiotics are good bacteria already living in the digestive tract. Prebiotics function like fertilizer to sustain growth and/or multiplication of good bacteria. 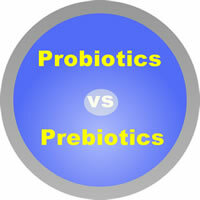 After comparing probiotics vs. prebiotics you are now convinced that both contribute to your optimal health? 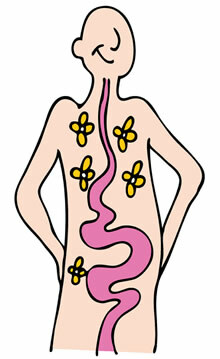 How can I Help my Digestive System? Let's explore several other factors, which play an important role in your digestive system. Since the day food manufacturers started stripping outer coatings from grains to produce fiberless white flour, people's digestive systems have suffered. Soluble fiber is important because it isn't broken down during the digestive process. For example, after it dissolves, soluble fiber changes into a gel-like substance with the ability to latch onto harmful cholesterol molecules and prevent them from entering the bloodstream. Think of soluble fiber as soldiers in your digestive tract; it wards-off attacks from harmful substances. Enzymes are found primarily in fresh fruits and vegetables that provide chemical reactions necessary for proper digestion. When you eat refined and processed foods, natural enzymes are destroyed. Your body must try to duplicate them and as a result it becomes overworked. Enzyme supplements fire-up the digestive process. Your need for supplemental enzymes includes their ability to break carbs down into simple sugars; triglycerides into glycerol and fatty acids; proteins into amino acids. Natural Phenolic acids in plants perform similar to antioxidants in humans to protect the plant from certain free radicals. You are probably familiar with flavonoids. The other phenolic acids are hydroxycinnamic acids and hydroxybenzoic acid. Other health benefits include phenolics potential as an anticarcinogencic. They provide digestive support and balance by restraining development of bad bacteria and encouraging good bacteria. When bad bacteria overtake the good bacteria in your digestive system, the need for prebiotics becomes significant. Taken in supplement form, prebiotics provide food for probiotics and a healthy balance is restored. Antibiotics destroy good bacteria! If you've ever had a nasty yeast infection during a round of antibiotics, you have experienced a lack of good bacteria. Most likely you had diarrhea too. Take your supplements containing prebiotics to control side-effects of antibiotics, especially diarrhea. Did you know a majority of people on our planet suffer the ill-effects of poor digestion? Diarrhea/constipation, yeast infections, urinary tract infections, intestinal infections, eczema, water retention, weight gain, abdominal pain and a compromised immune system are just a few of many side-effects of poor digestion. Actually, digestion should be the first thing to address if you are suffering from any disease. A balanced diet is the first step, but most people are too busy to switch to the ideal nutrition plan. A quality digestive health supplement is your first line of defense to correct a poor digestive system. I recommend the all natural product, Kiwi-Klenz to get your digestive system back on track. This is a product by Xtend-life. They target the exceptional quality with every product they manufacture and Kiwi-Klenz is not an exception. I'll highlight important facts about this digestive health formula and recommend you take a detailed look at their website. As its name implies, Kiwi-Klenz is derived from kiwifruit. The manufacturers of Kiwi-Klenz have discovered the correct combinations of soluble fiber, enzymes, phenolics and prebiotics and included the correct portions in this all-natural supplement. Instead of spending large amounts of money on individual supplements, with no guarantee you're taking them in correct proportions, do you agree it makes sense to buy one product? Kiwi-Klenz supports the digestive tract so capably that all nutrients contained in your food and drink will be better absorbed. Kiwi-Klenz is a step-above their competitors who manufacture kiwifruit supplements. Most supplement manufacturers discard kiwifruit skin and in consequence, prebiotic compounds are discarded. We learned in kindergarten the skin of a fruit or vegetable contains valuable nutrients! Beat bloating and embarrassing gas. Reduce toxic waste in colon. 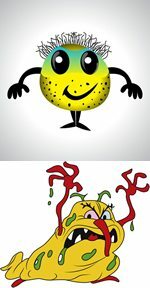 Before you dash-out and load-up on kiwifruit, let me remind you supermarket fruits were ripened artificially causing nutrient loss, especially enzymes. 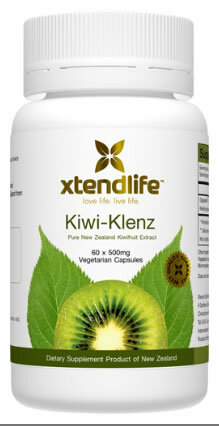 A single capsule of Kiwi-Klenz provides more total-body benefits than two kiwifruits. As I pointed out, do your own research before spending your hard earned money on any health supplement. Kiwi-Klenz is a quality product but I'd suggest you compare it with other digestive supplements and compare the manufacturers before making an informed decision.